News & Blog: GIVEAWAY!! I'm Celebrating The Launch of My New Website! GIVEAWAY!! I'm Celebrating The Launch of My New Website! 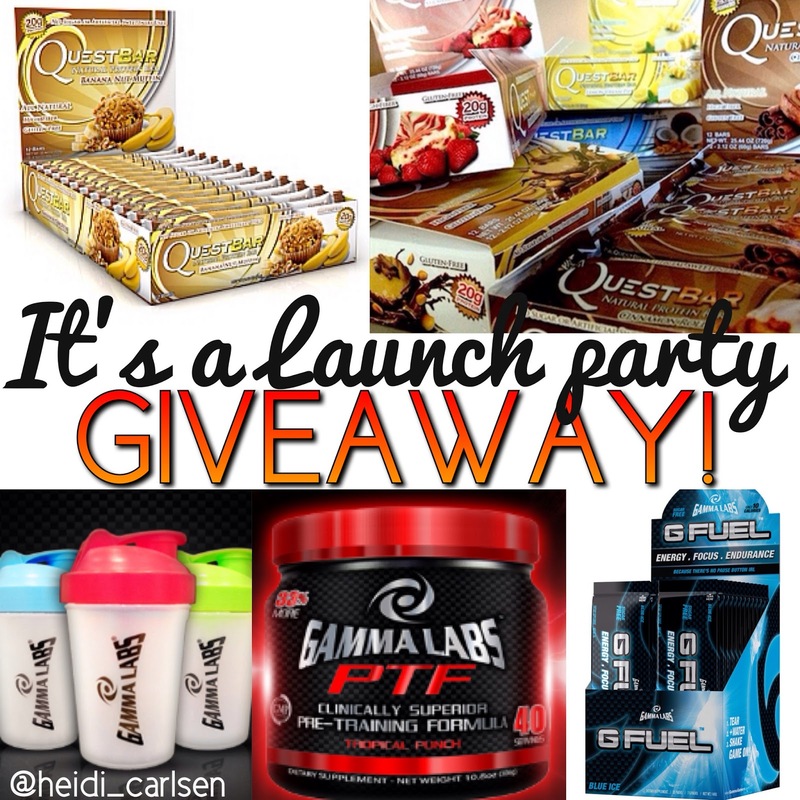 I'm celebrating the launch of my website www.heidicarlsen.com by teaming up with Quest Nutrition and Gamma Labs for an AWESOME giveaway!! My website launches 05.08.13 @ 11:59 pm. I can't wait! 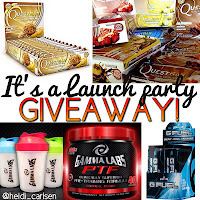 I'll be giving away over 10 boxes of Quest bars including my favorite the Craving peanut butter cups! I'm obsessed with Quest Nutrition Protein bars! They taste amazing and are very low in carbs, high in protein, high in fiber, and have no added sugar. I don't think I could live without them (they're that good) and perfect when traveling! For the Grand Prize giveaway I'll be giving 5 lucky winners a tub of Gamma Labs Pre-Training Formula (I use it before every workout and swear by it! ), a box of G-Fuel and a Gamma Labs shaker bottle! I'll be posting more details soon!